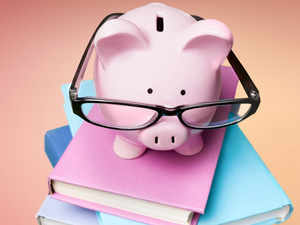 Banks have reported a steep rise in education loans going bad. As per data provided by Indian Banks’ Association (IBA) non performing assets or NPA in education sector have risen to 8.97% at the end of March 2018, as compared with 7.29% in March 2016. The Lok Sabha was informed by the government that bad loans of PSBs in education sector were at 5.70% in March 2015. Those studying Nursing Courses formed the largest category that was unable to repay their loans constituting 21.28% of the total education sector bad loan portfolio of banks. Engineering students stood third at 9.76% of the total bad loan portfolio till March 2018. Loans disbursed towards nursing course in 2017-18 stood at Rs 2,263 crore as compared to Rs 1,154 crore in the previous fiscal. RBI declines to share bad loan data with SEBI. The Reserve Bank of India has refused to share list of certain corporate entities which have defaulted on their loans with market regulator, Securities and Exchange Board of India (SEBI). Minister of state for finance Pon Radhakrishnan informed Lok Sabha in a written statement that SEBI had sought the information in order to enable it to assess the impact on investment vehicles which could have invested in such entities. “SEBI has further informed that, RBI had expressed its inability to share the list of such troubled accounts primarily due to the reasons of such defaults/ NPAs not being wilful defaults and the issue of customer confidentiality,” he said. The minister that it was informed by SEBI that the market regulator had sought information from the Reserve Bank of India (RBI) on list of certain corporate entities who have defaulted on bank credit and/or been classified as Non-Performing Assets (NPA). In a separate response the government informed the lower house that as per data till August 2018, state run lenders have registered 2,571 FIRs against wilful defaulters, 9,363 suits have been filed for recovery from them, and action has been initiated under the Securitisation and Reconstruction of Financial Assets and Enforcement of Security Interest Act, 2002 in respect of 7,616 cases of wilful defaulters.